REDSTAR Top entry trunnion mounted ball valve with gear worm is widely using petroleum ,natural gas pipeline and electric power,food ,paper etc conditions. 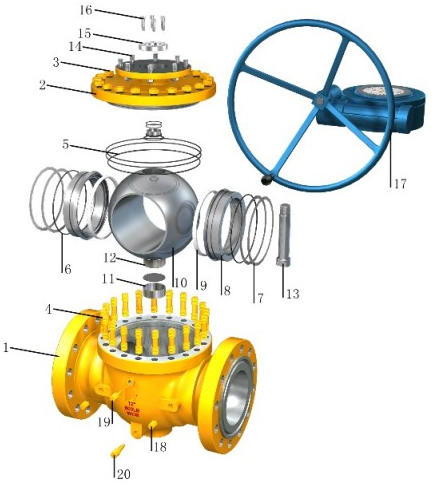 Top entry ball valve have floating and trunnion structure. Trunnion ball valve can turn on and turn off by ball disc. seal insert into seat , metal seat have install spring. When seal surface breakdown , can auto-release pressure. Suit for water, acid, natural gas and trouble medium . widely range.